I so enjoyed working with Evolon! 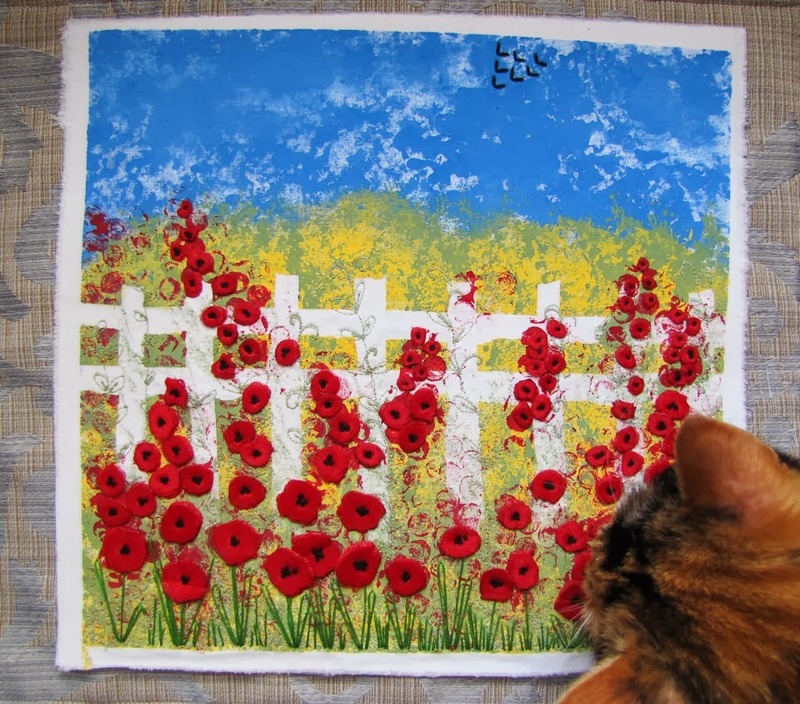 It takes paint well and dye and stamping. 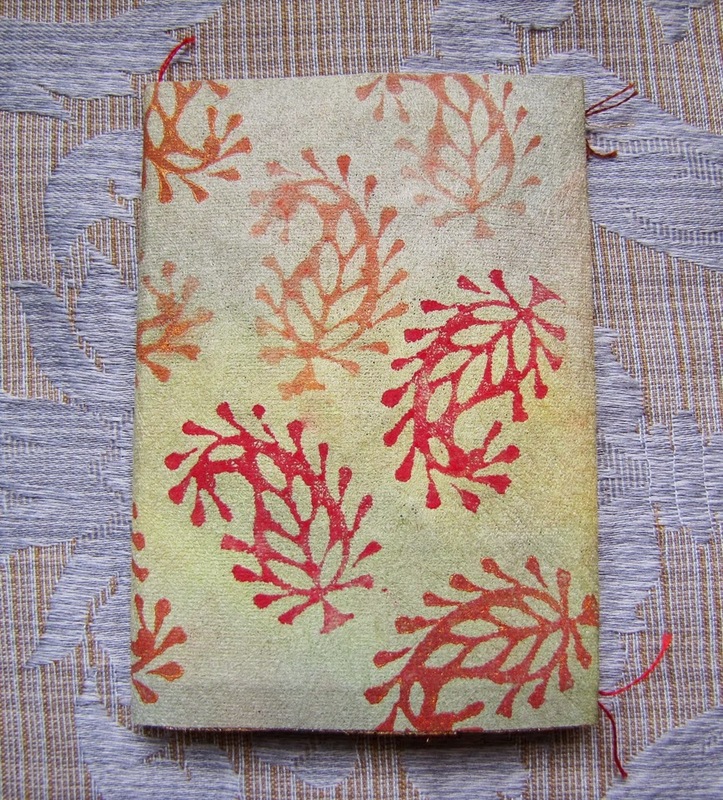 This is the cover of my leaf themed booklet. 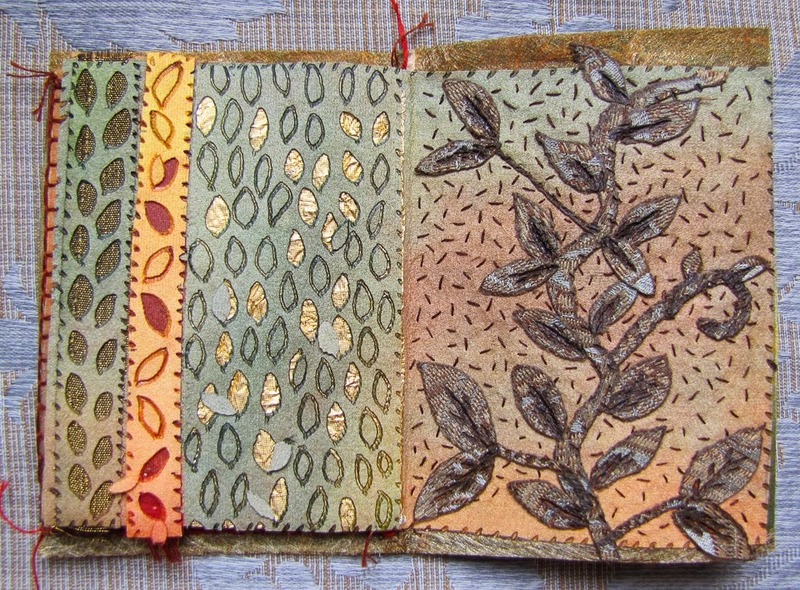 I used Evolon for all the pages and it isn't too difficult to stitch through. 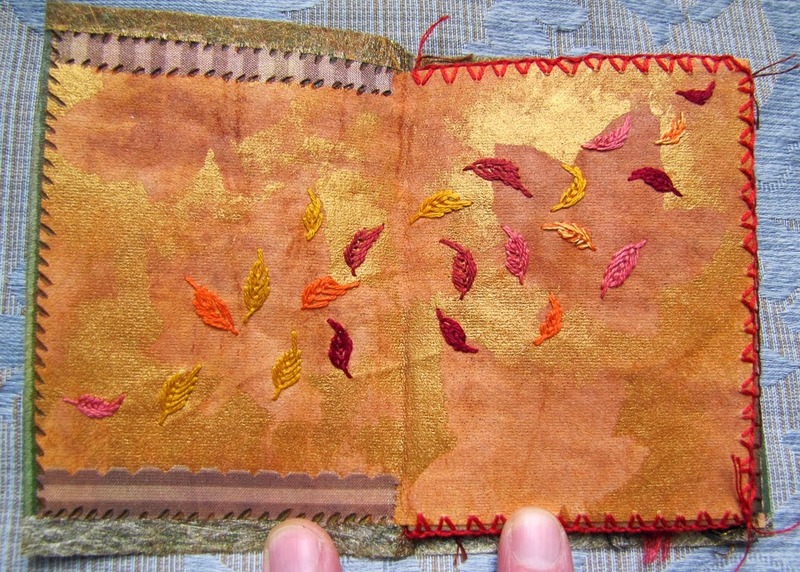 Here are a few autumn leaves being blown across the pages using the fly stitch. 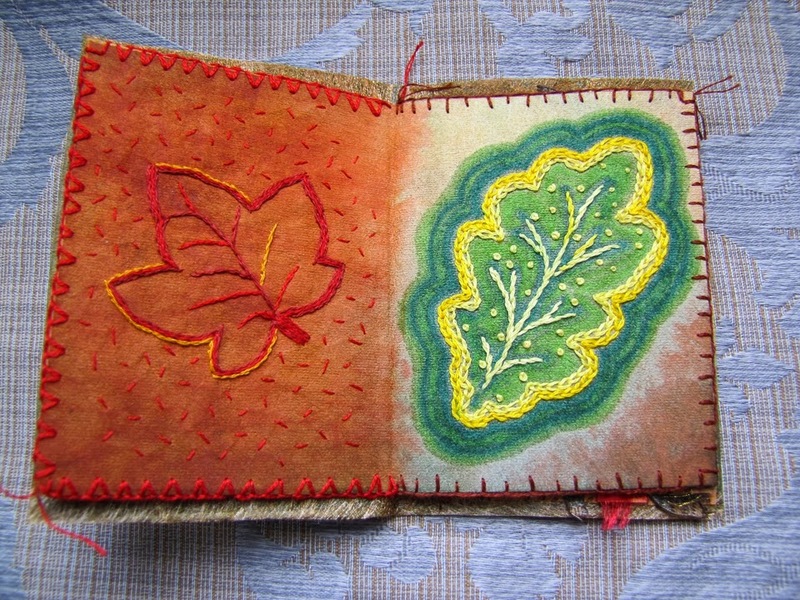 Maple and oak leaf pages using the chain stitch, stem, seed, buttonhole, crossed buttonhole and french knots. 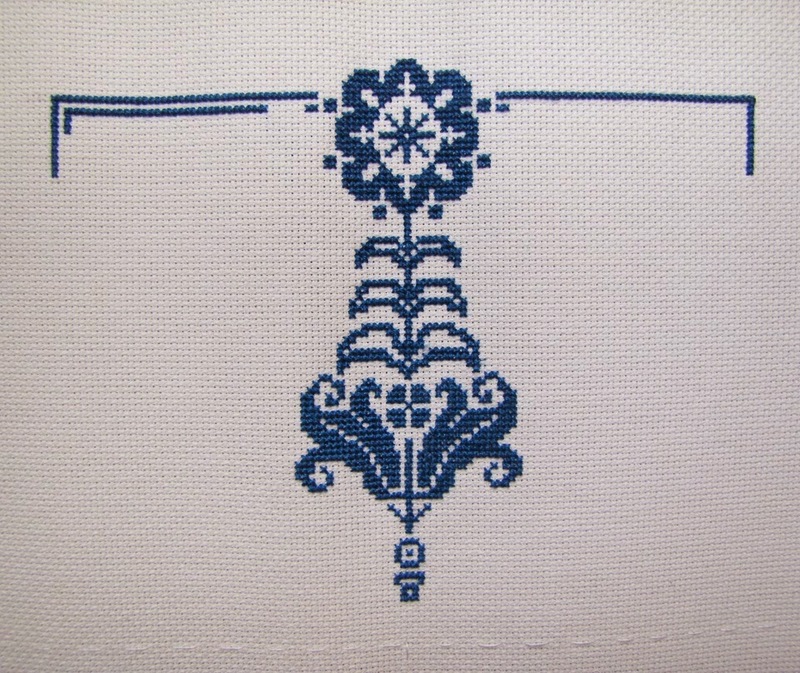 Haven't done much lattice stitching and I need more practice. 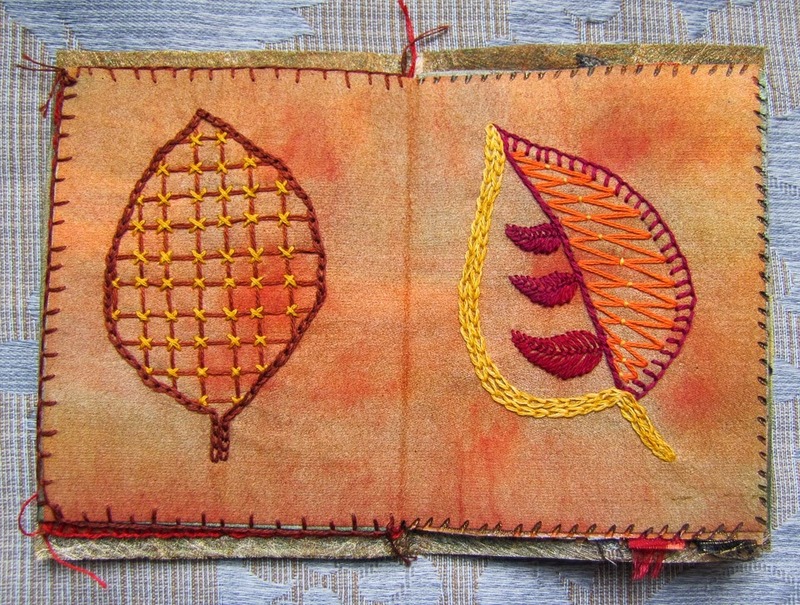 Enjoyed stitching the 3 small middle leaves using the fly stitch. Here's my painted piece that I had played with a few weeks ago where I lay down masking tape, sponged around it with acrylic paint, took the tape off and voila, a white picket fence. I free motion machine sewed some vines which you can't see very well as I should have used darker green thread. 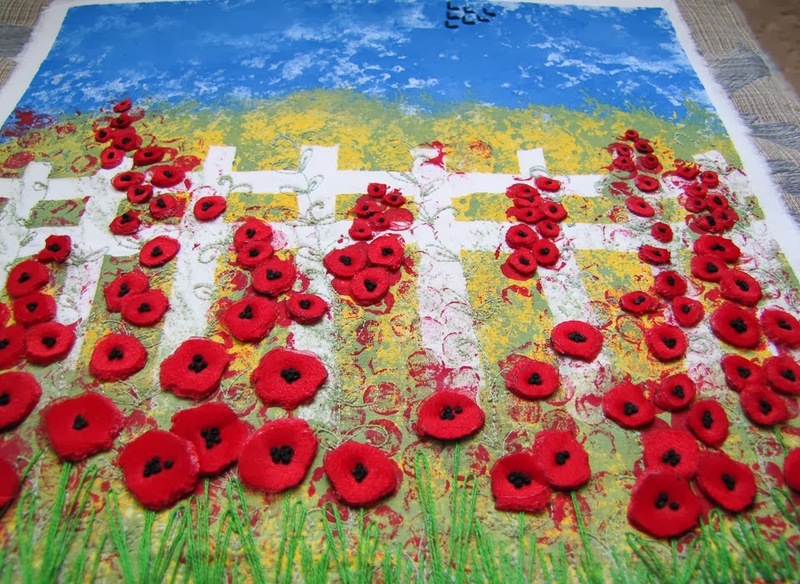 I laid a piece of red organza over red felt, cut out the red circles and attached them all with french knots. Also added some grass stitching along the bottom. Had to take a picture of Mr. 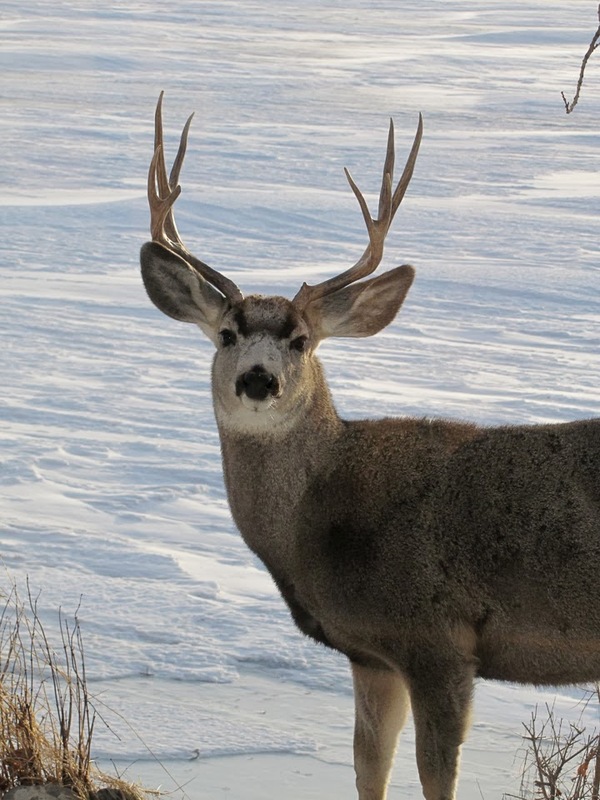 Handsome Mule Deer Buck as he strolled through the yard and then stopped to look at me through the window. What a beaut he is.